Kuching, the capital of Sarawak, in Southern Borneo is a city with character. And the best way to experience it is with a stroll at sunset along the riverfront promenade. Families, friends and lovers will all be out, enjoying the cooler evening hours and the great views, enjoying some tasty streetfoot or a quiet conversation. So, join them for a nice evening in the prettiest spot of Kuching! 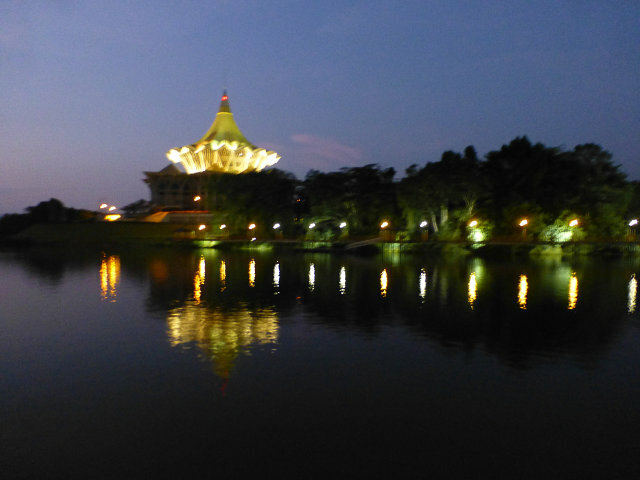 Check out my Guide to Kuching for your own wildlife adventure mixed with quiet evenings!